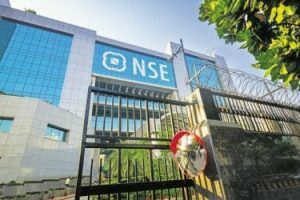 Though NIFTY scaled the 11,000 mark again on 12th July after a gap of over 5 months (last peak on 31st January 2018), midcaps & small caps continue to fall sharply as markets remain volatile. Starting with a disappointing budget where LTCG on equity investments was announced, followed by continuing bank NPAs, uncertain political outlook, global factors (trade war/rising bond yields, exchange rate & crude), besides PNB banking fraud, continue to affect market sentiments. To play safe, institutional and retail investors continue to prefer large caps with promising profitability potential and robust fundamentals. Midcaps and smallcaps are bearing the brunt of selling pressures. Only 19 stocks out of 50 in the NIFTY outperformed the index with positive returns. From a weighted average return perspective, 5 of the top 11 performers are from the retail-focused financial services industry alone. Growth was largely funneled with stocks like TCS, Kotak Mahindra Bank, Infosys, HDFC Bank & Reliance, which have high weightage in NIFTY driving growth. 31 stocks in the NIFTY underperformed the index. In terms of weighted average returns, the bottom 10 list was led by some of India’s leading banks (SBI/ICICI Bank) that have high exposures to the corporates. Other than that stocks like Tata Motors & metals stocks like Tata Steel & Vedanta were laggards. IT companies, that faced a myriad of headwinds in the past, appear to be on a growth path again due to a strengthening dollar, which is reflected in their price performance. Investors reposed faith in some reliable defensive consumer-oriented names (HUL, Asian Paints), notwithstanding their steep valuations. In contrast construction & metals sectors were major under performers in the markets. Market volatility since February 2018 took a big toll on the relatively ‘riskier’ names across all sectors, albeit in varying degrees. Corrections in the mid and small cap space were primarily attributable to the valuation mismatch – the steep premium enjoyed by a section of such stocks was not wholly supported by a similar earnings trajectory. This fact is further corroborated by the price performance observed in the constituents of the Nifty Midcap and Nifty Small cap indices (100 stocks each). In contrast to the NIFTY, only 25% of midcap and 18% of small cap index stocks delivered positive returns from 31st January till 13th July 2018. Overall through NIFTY was flat between the two dates, the midcap index was down 12% while the small cap index was down 17% in this period. Funneled growth in the index concentrated on a few stocks cannot continue forever. Thus post correction in broader markets midcap & small cap stocks and some laggards should be back in focus in due course of time. Quality stocks where there is a structural story in place at currently trading at a quotational loss & as performance turns around they should bounce back sharply from current levels.